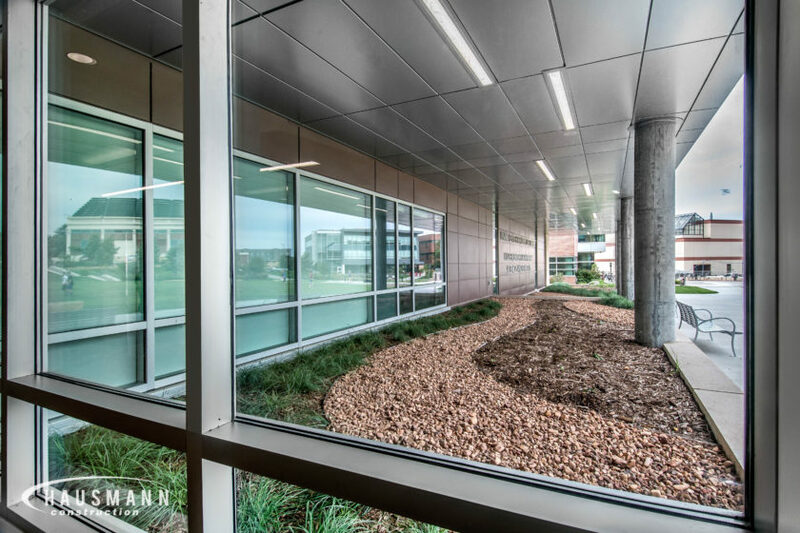 This project is a 107,000 square foot facility where students can get medical, dental, physical therapy and mental health services. 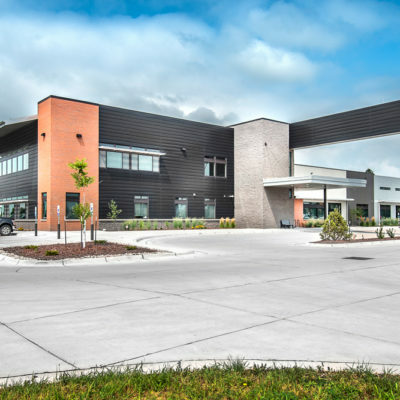 The state-of-the-art clinic has programming capacity to expand health-care services. 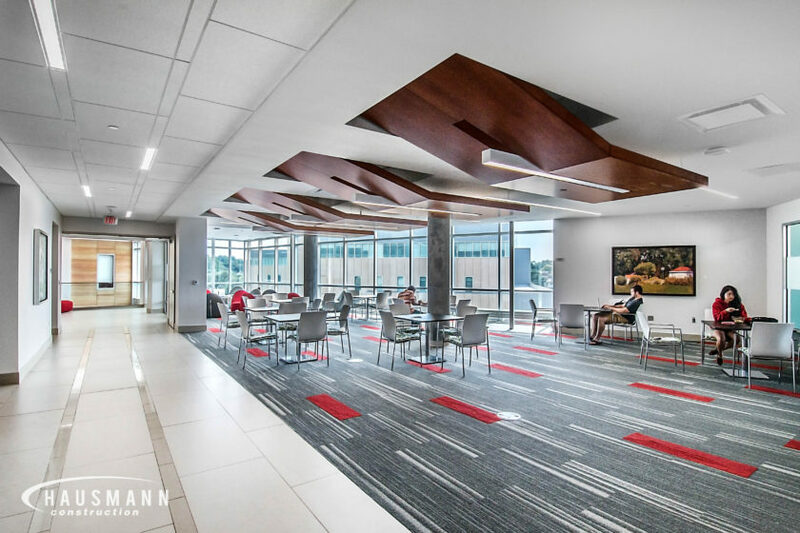 One half of the project, 54,000 square feet, replaces the current health center for students at UNL. 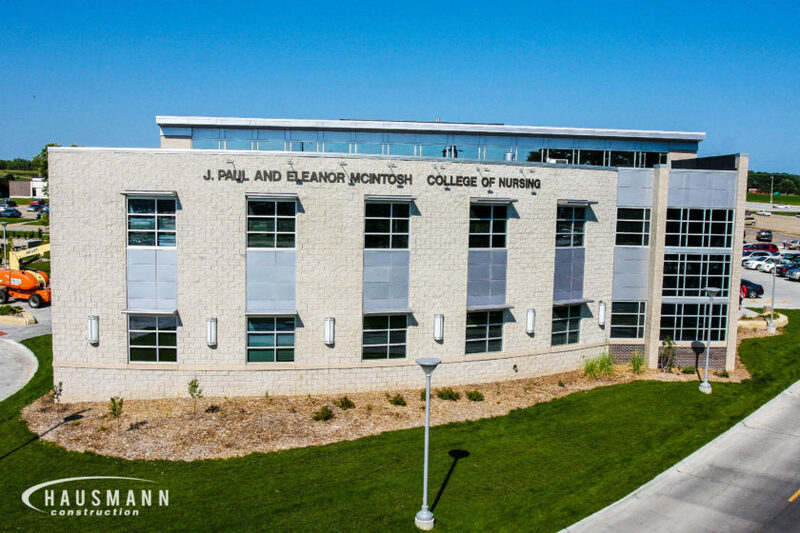 The other houses the new, 53,000 square foot UNMC College of Nursing facility. 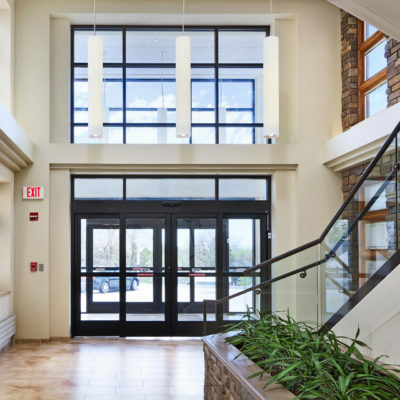 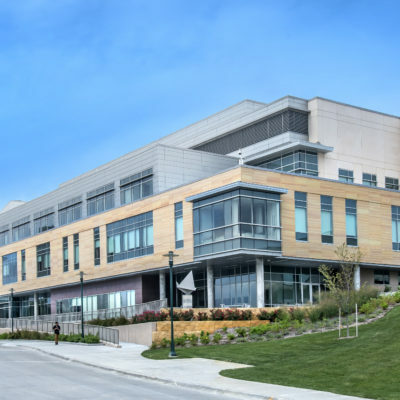 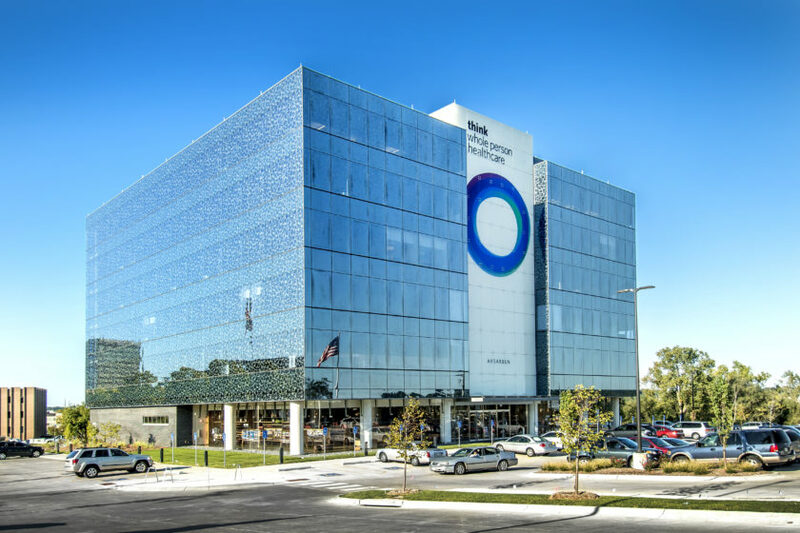 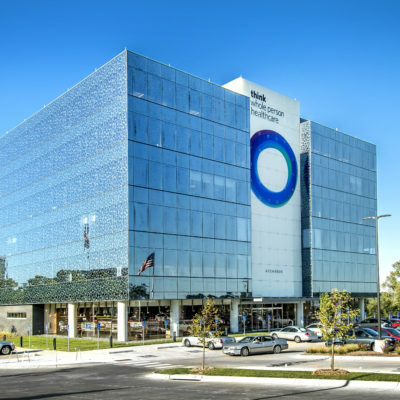 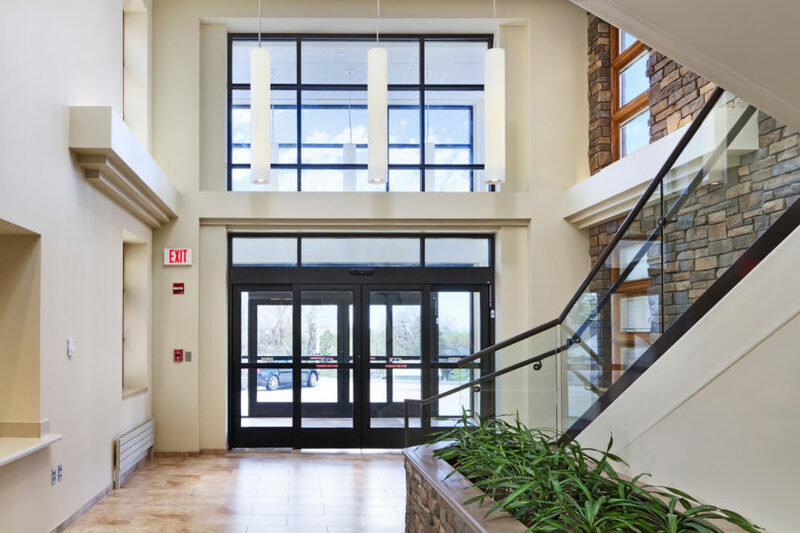 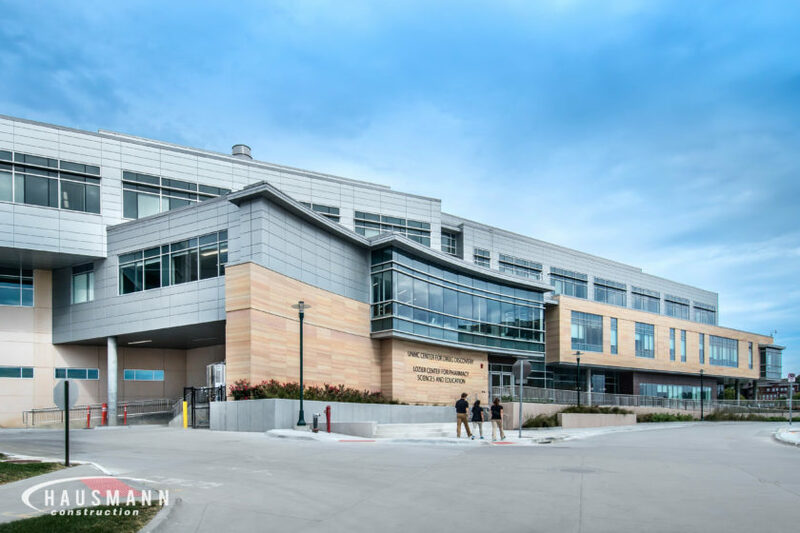 This project added a new 30,000 square foot, two-story clinic addition to the hospital campus connected via a covered walkway. 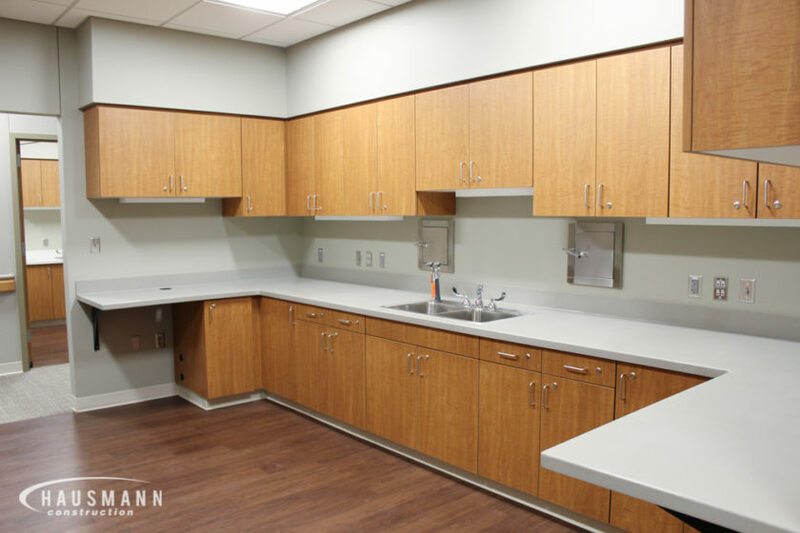 The addition included 28 exams rooms for seven different providers, a new lab, pharmacy and x-ray rooms. 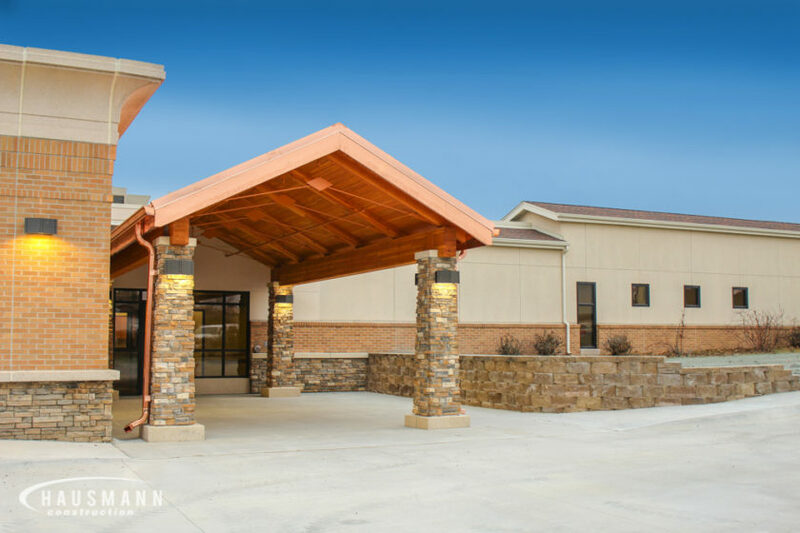 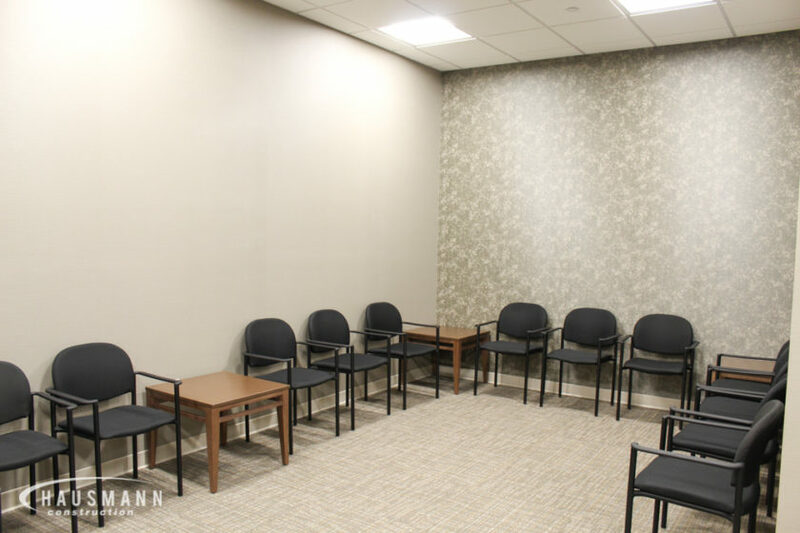 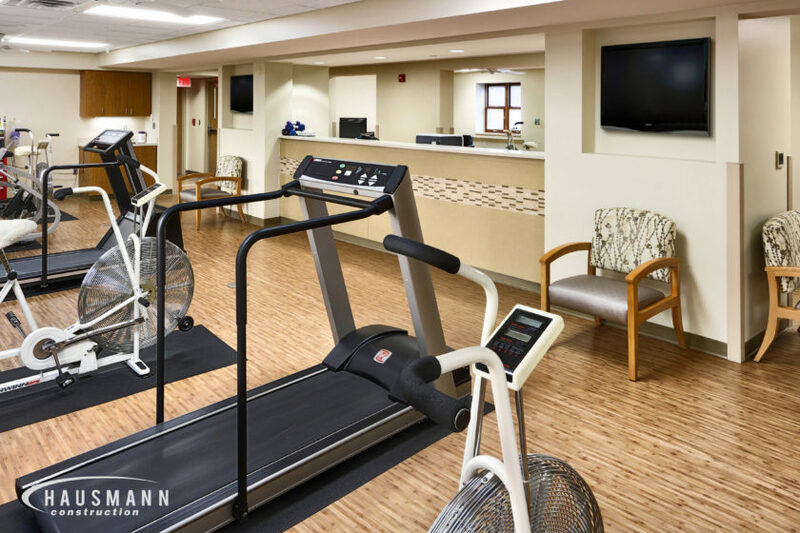 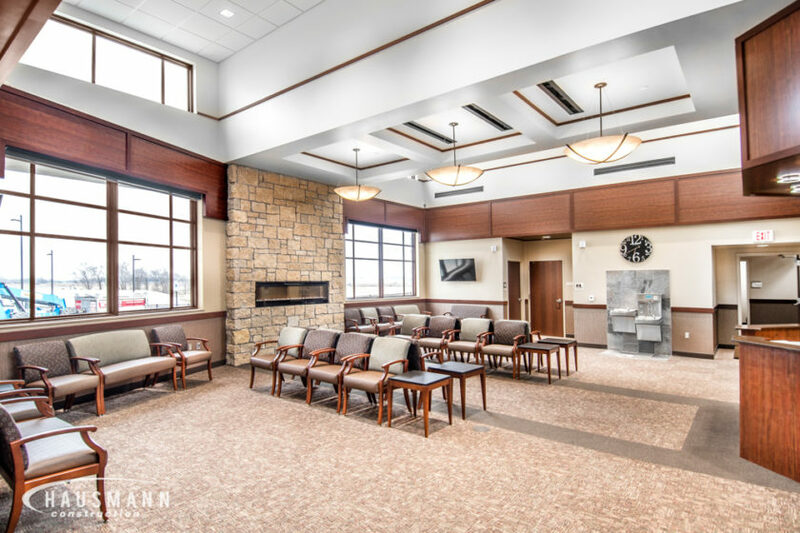 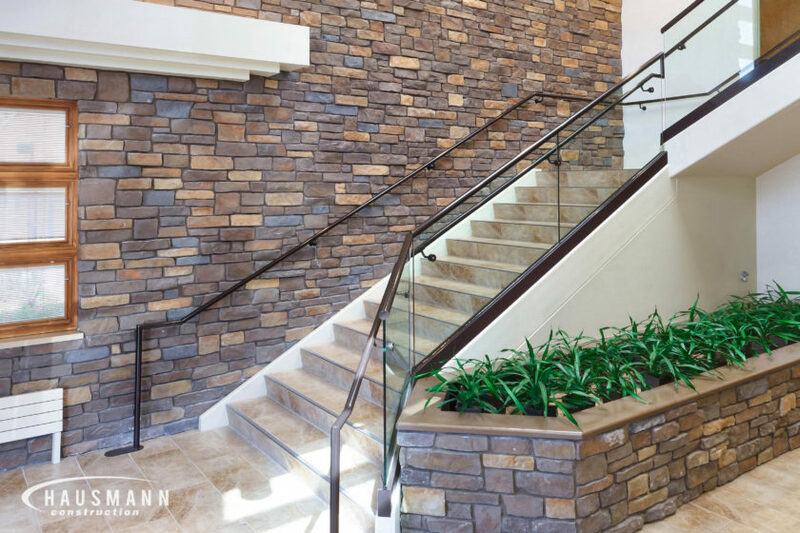 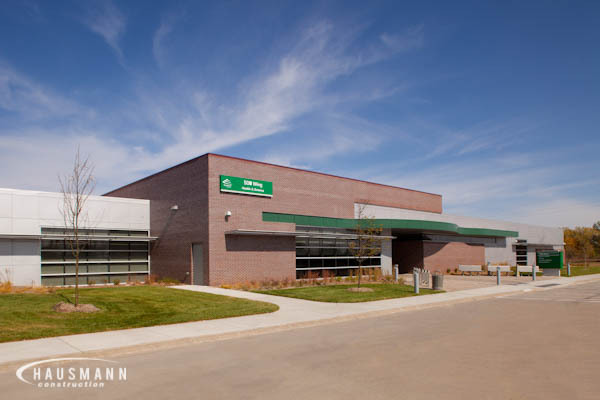 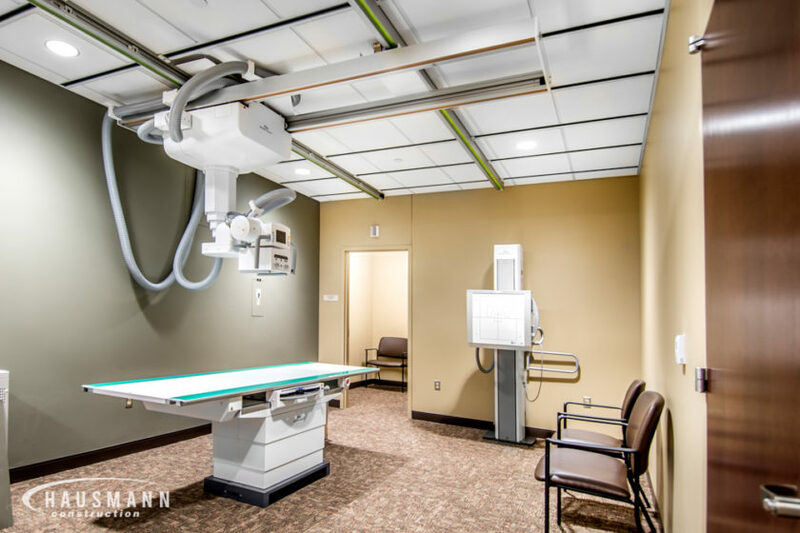 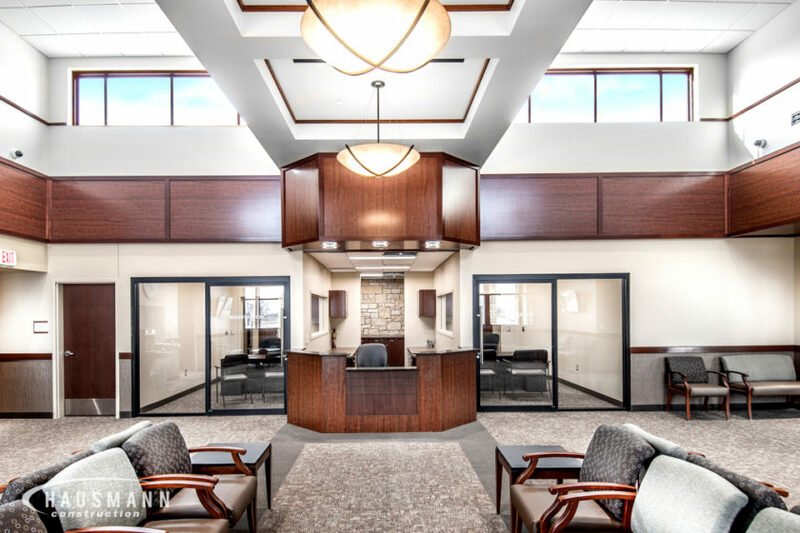 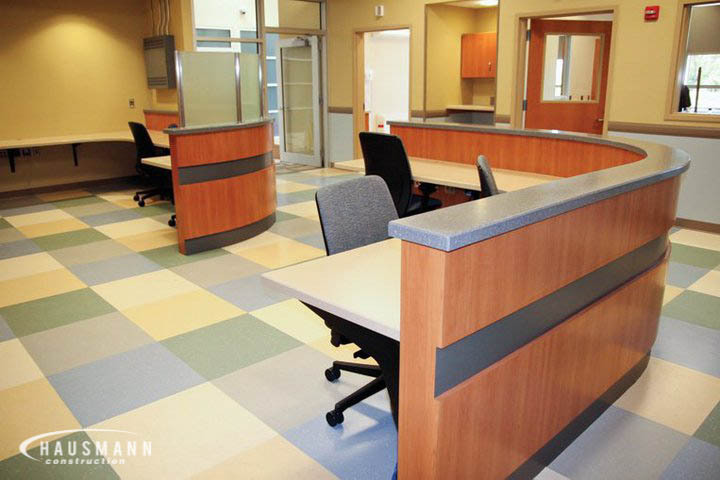 Hausmann constructed Antelope Memorial Hospital’s 8,000 square foot clinic addition to its existing hospital facility. 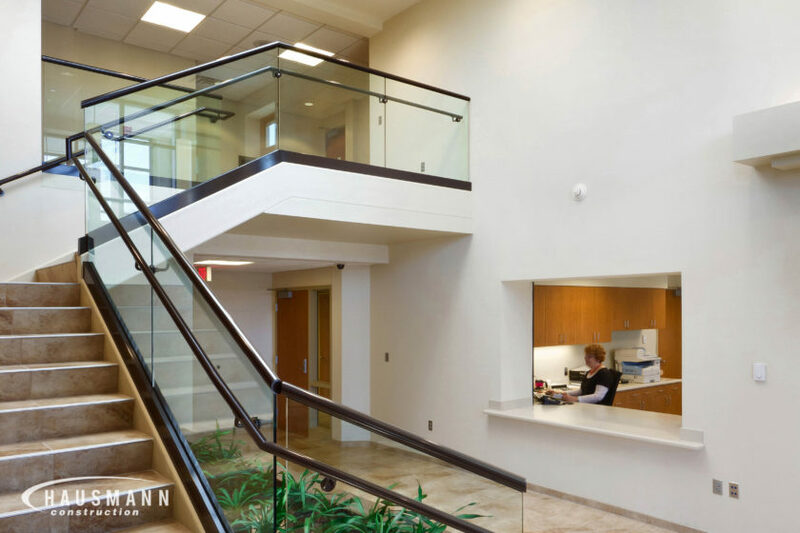 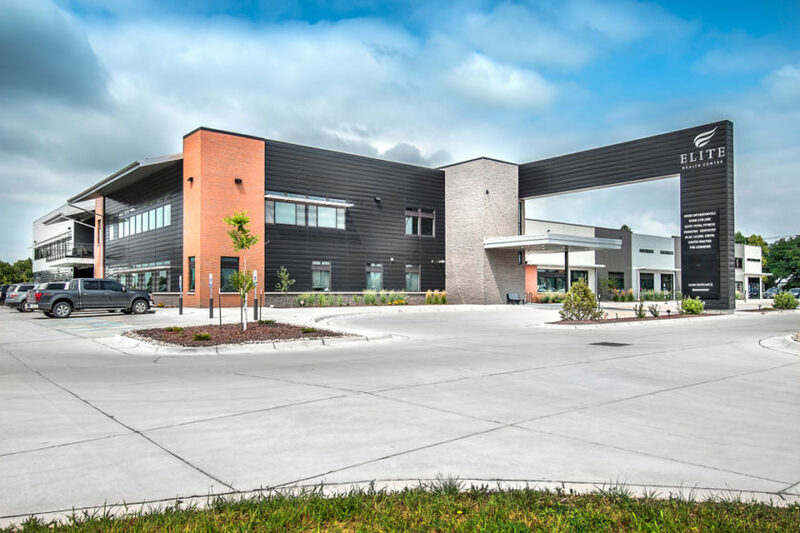 The addition included a new lab testing area, multiple exam rooms, an operating room, nurse’s station and waiting area along with a new exterior entry with exposed glu-lam beams, decking, brick and precast façade with a large curtainwall at the stair tower. 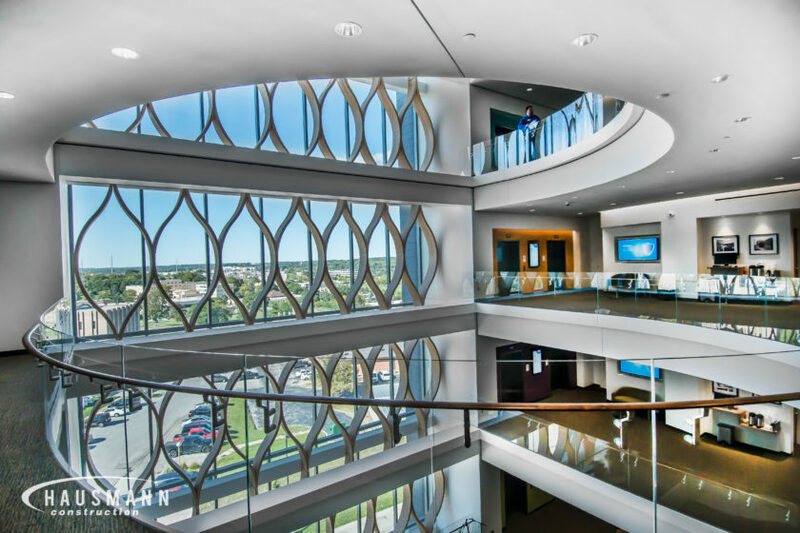 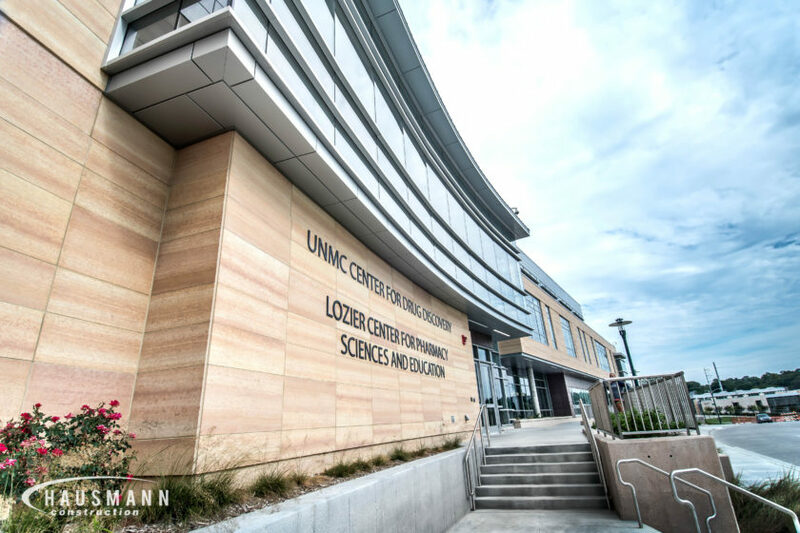 The University of Nebraska Medical Center for Drug Discovery and Lozier Center for Pharmacy Sciences and Education building is a state-of-the-art facility that provides patient care simulation and instructional space to emphasize the increasing role of pharmacists in primary health care. 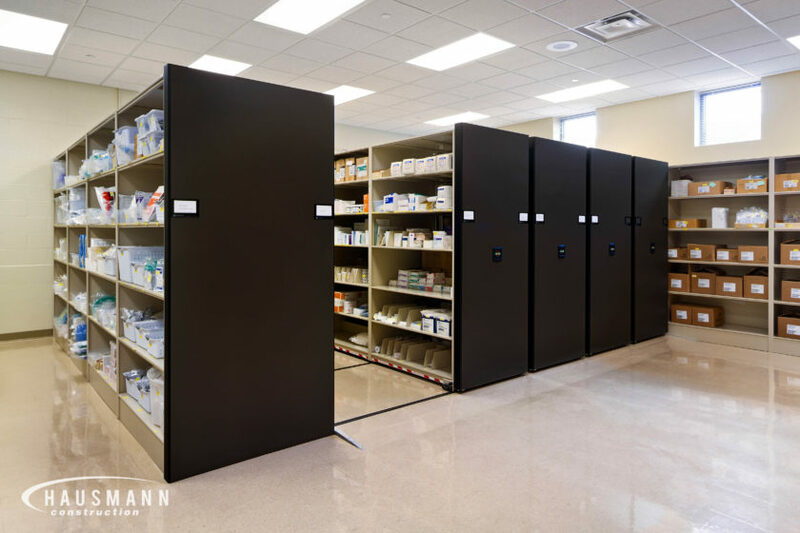 The building includes a contemporary model pharmacy, a sterile compounding room and practice areas for patient assessment and point of care testing. 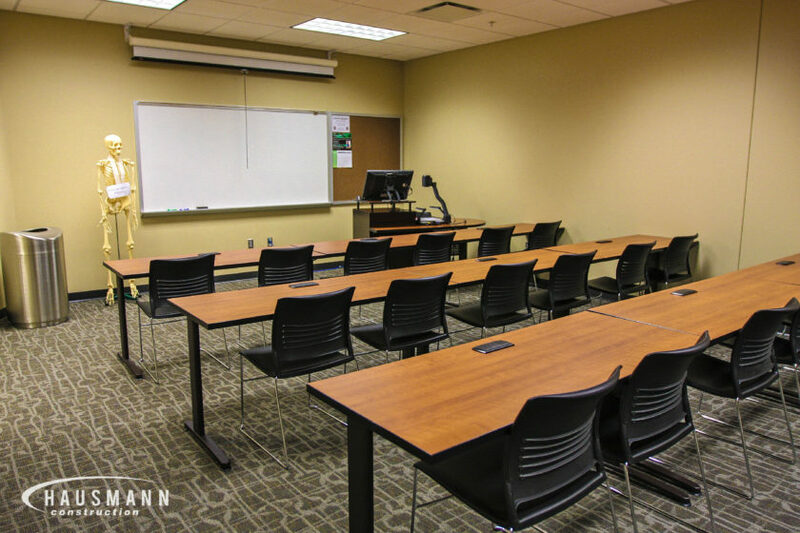 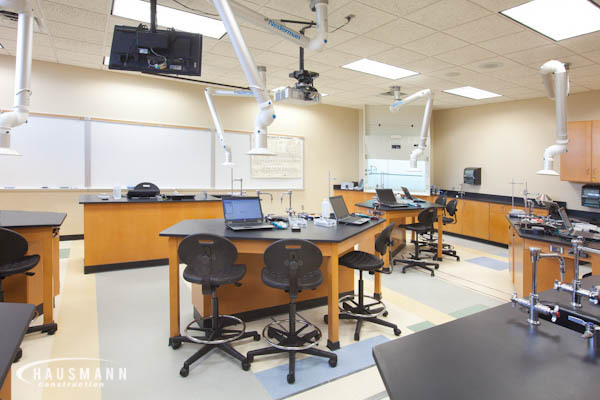 Student interaction and study areas are designed to optimize collaborative learning. 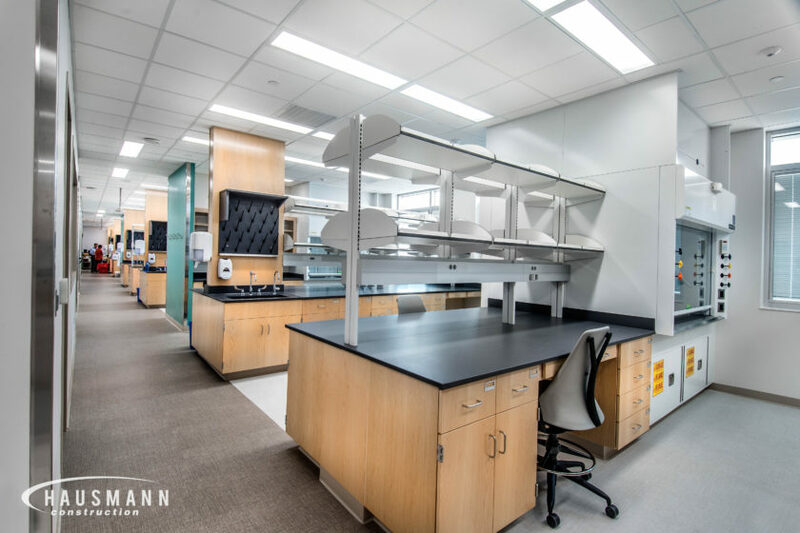 Everything from the first and second-floor lecture halls to the third-floor laboratories is state-of-the-art to ensure the best learning and research experience one can get to help solve many of the world’s problems with disease. 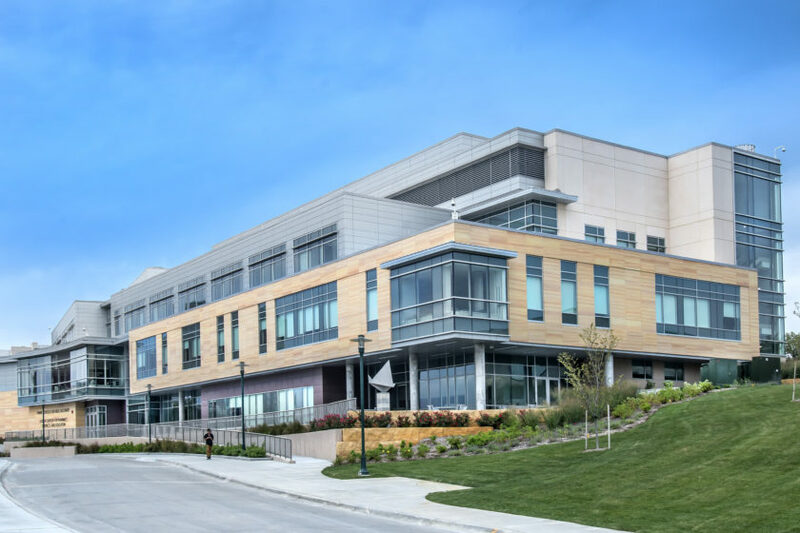 The project is located on UNMC’s campus in Omaha, Nebraska. 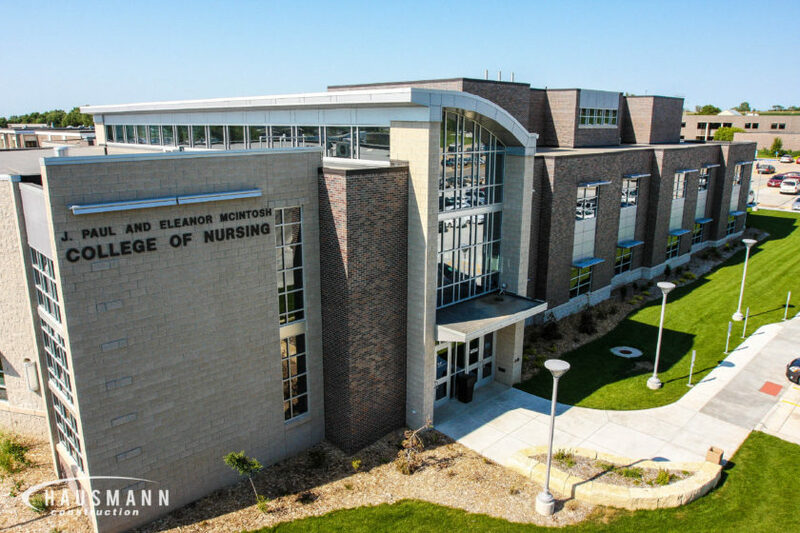 The UNK Health Science Education Complex consists of 46,000 square foot of learning facilities spanned across two levels. 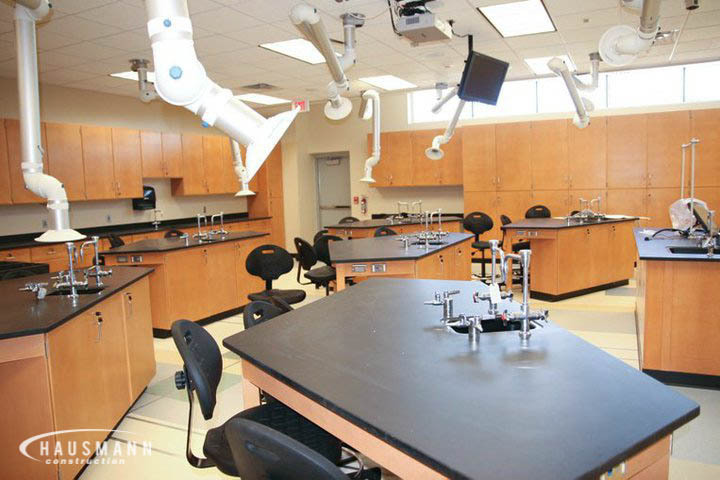 The building houses seven health education programs and serves over 300 students. 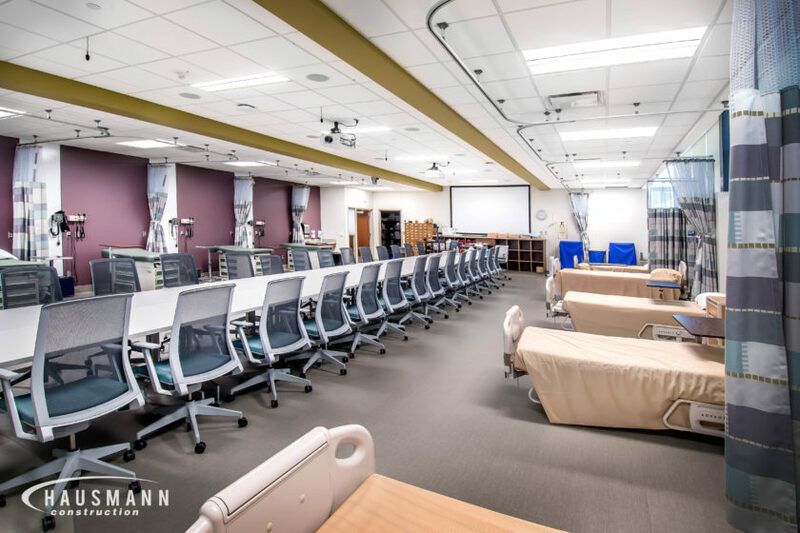 With seven classrooms, five laboratories and over fourteen simulation areas the facility is staged to advance healthcare and promote interprofessional education in rural settings. 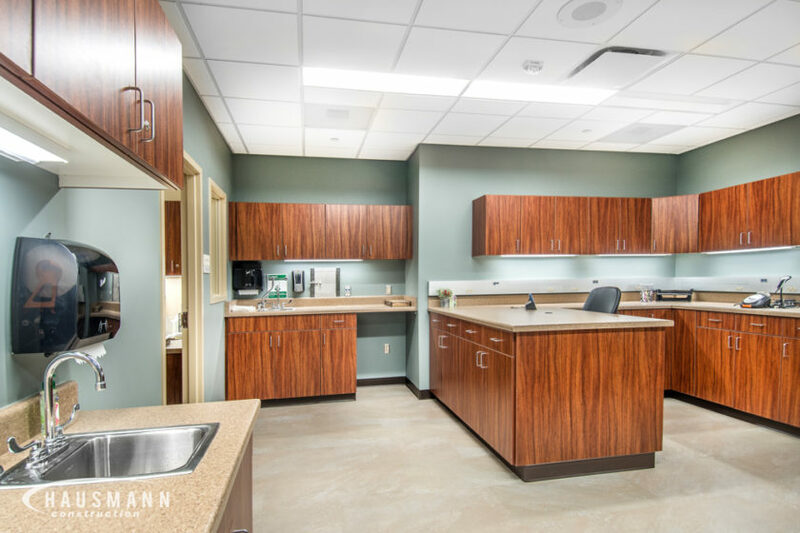 This multi-phase project consisted of renovating and upgrading the existing hospital buildings as well as the construction of new additions. 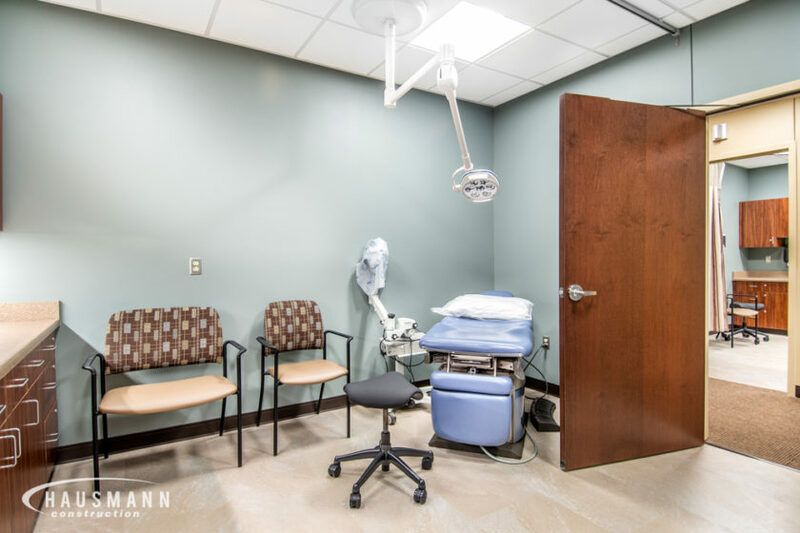 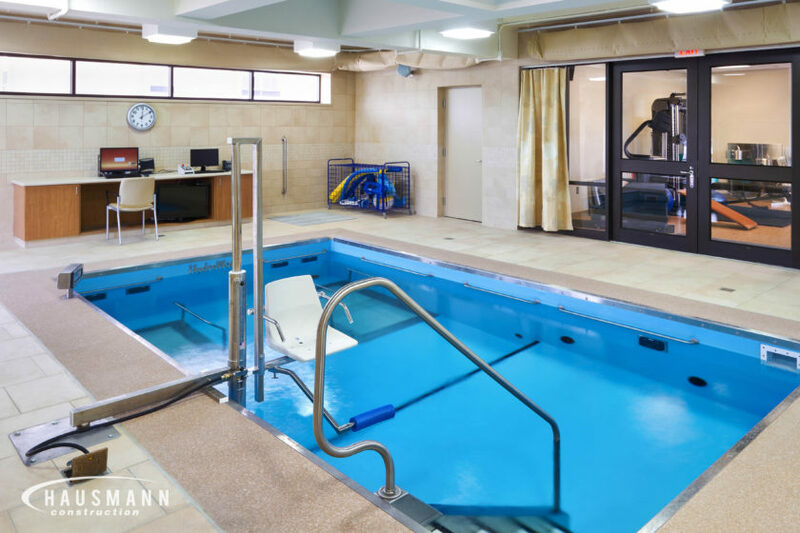 To facilitate owner usage, construction was conducted in closely coordinated separate phases to minimize interference with owner operations and allowed for full operation of the hospital. 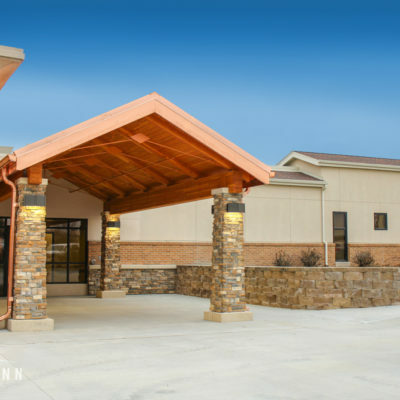 Construction and renovations include a new hospital purchasing department, administration and business offices, elevator and stairways, physical therapy and rehab space including an indoor therapy pool and locker rooms, fully constructed front entrance and lobby areas, new parking lots and landscaping. 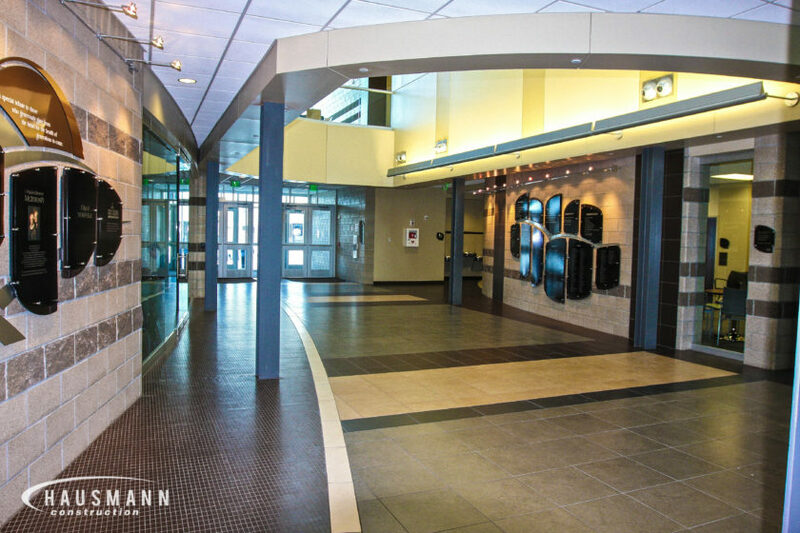 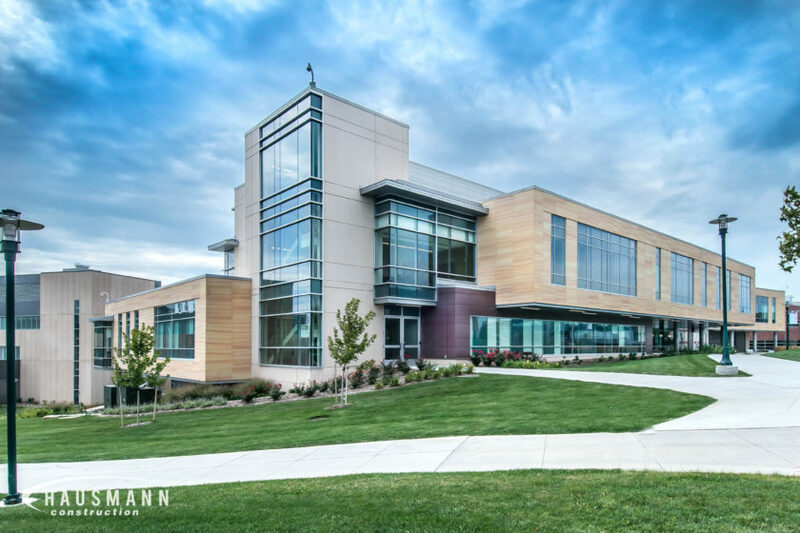 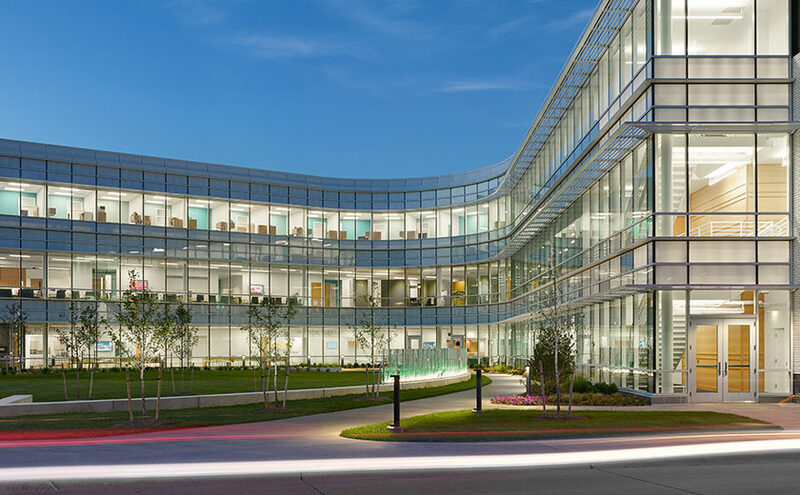 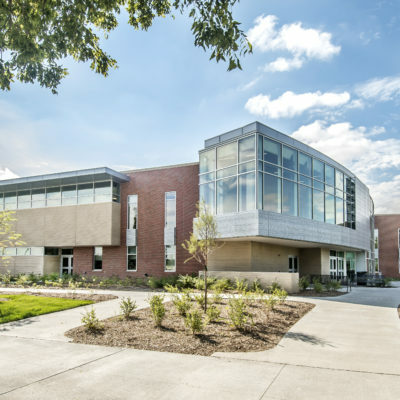 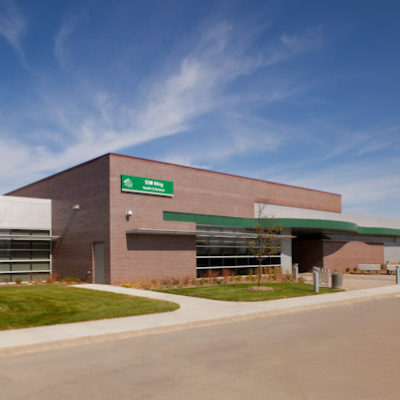 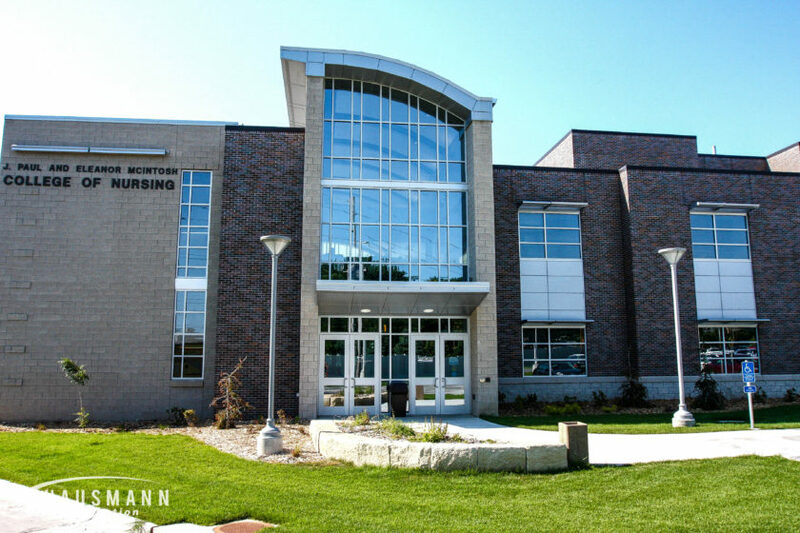 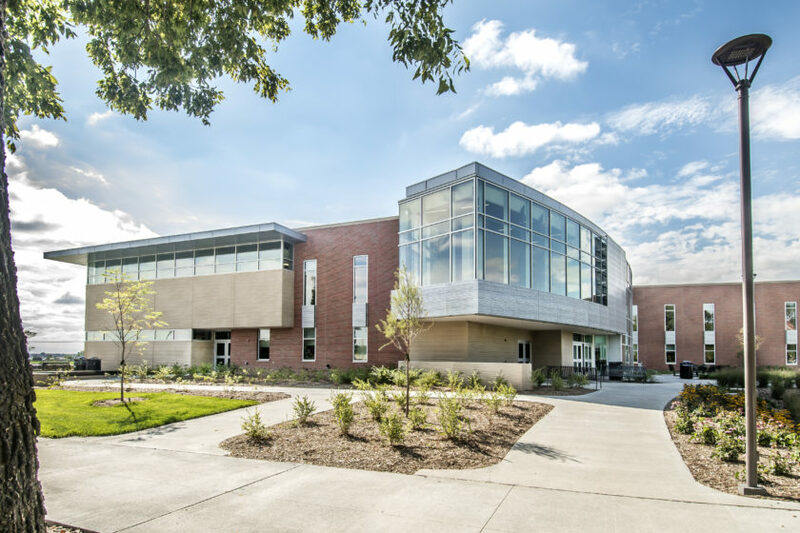 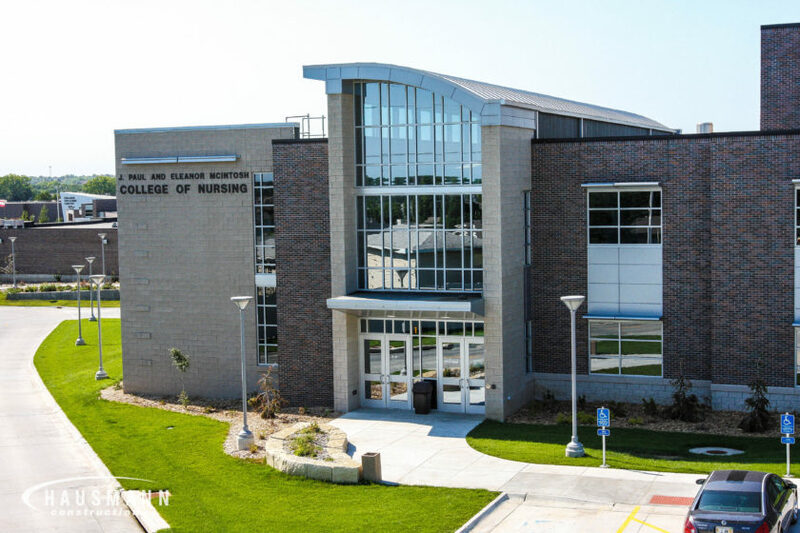 The Health Science Education Center was constructed as a 45,000 square foot addition to the occupied college campus in Grand Island, Nebraska. 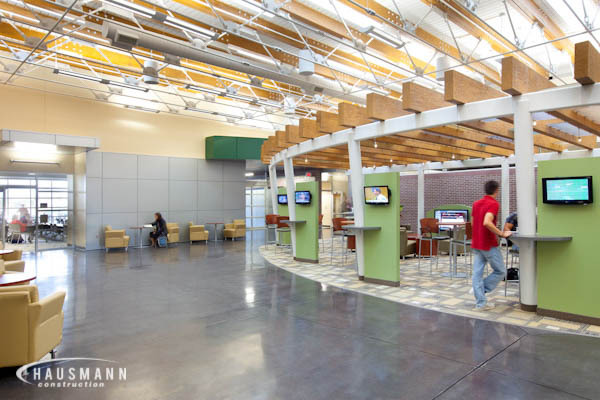 The main feature of the project is an open sitting area with a pergola design. 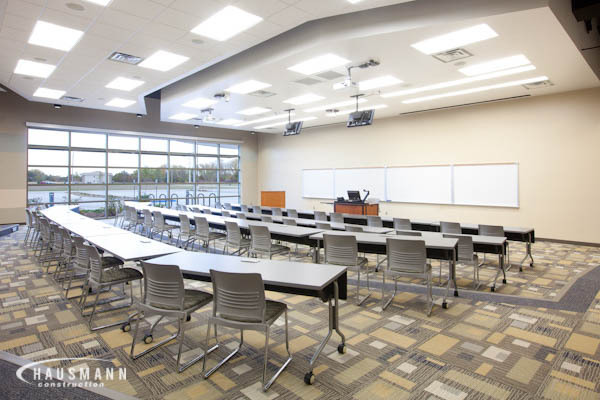 Integrated materials throughout the facility make the college equipped with distant learning equipment and camera capabilities using the extensive audiovisual system. 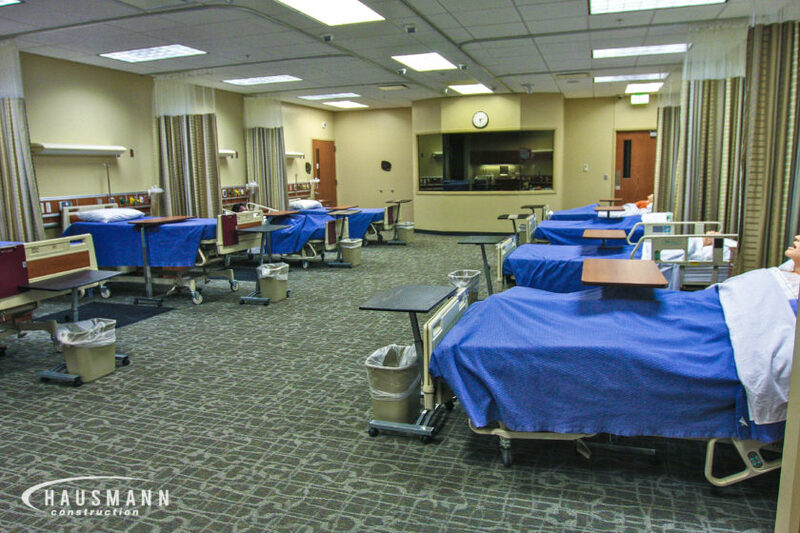 The pediatric and emergency medical service simulation lab is also a high point to the construction of the college. 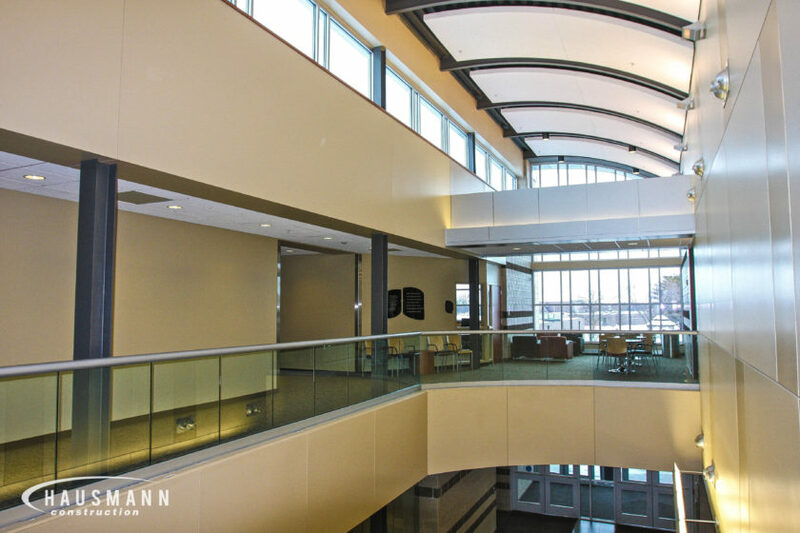 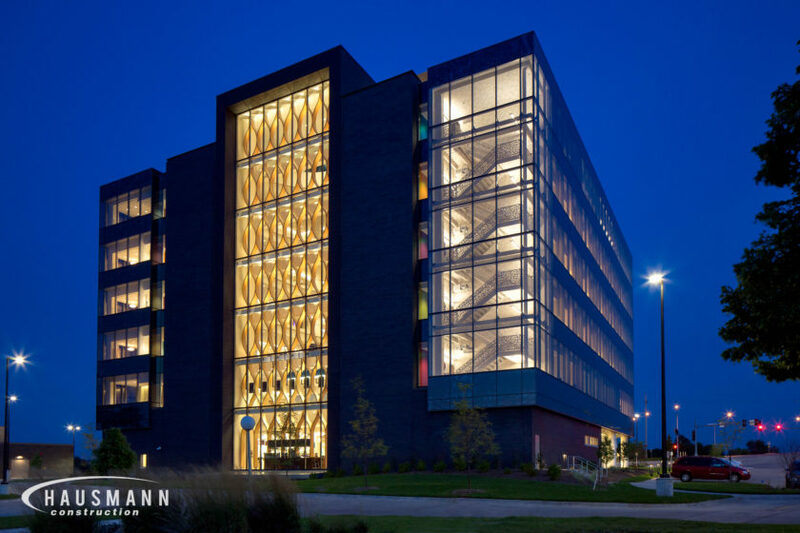 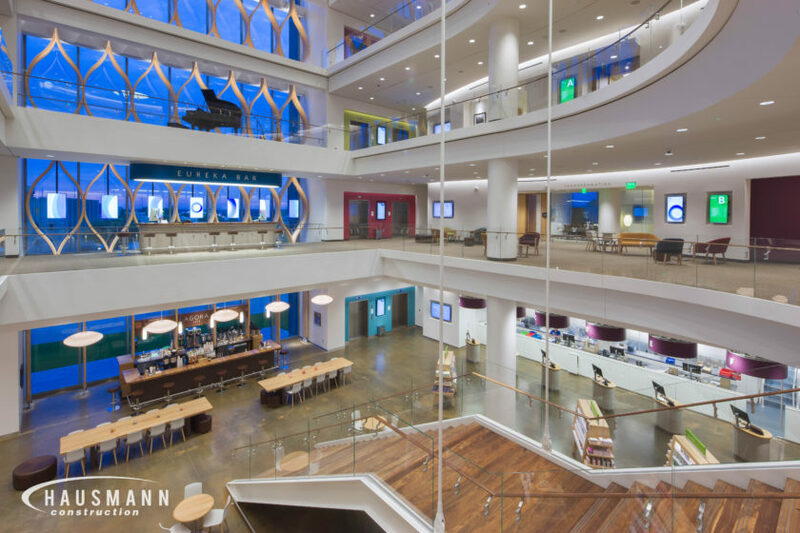 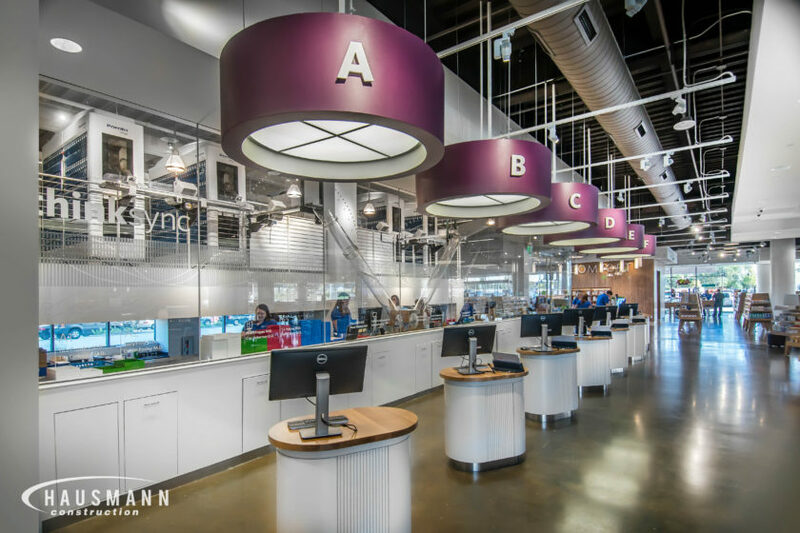 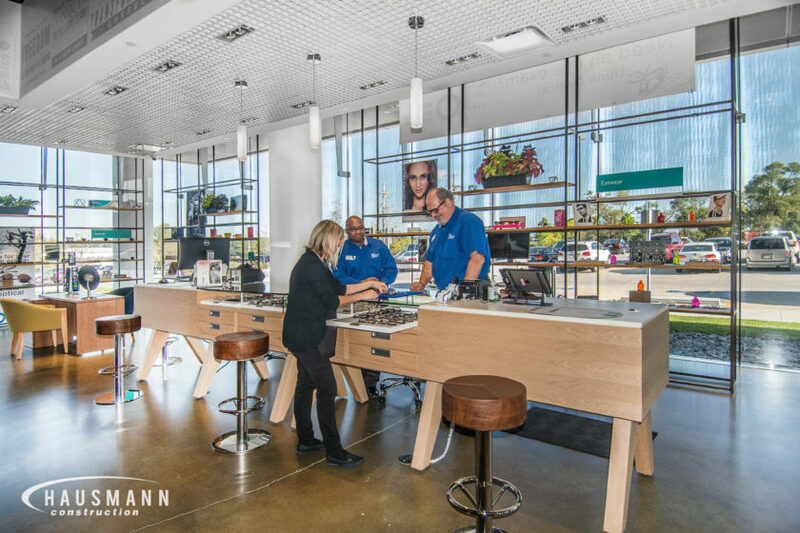 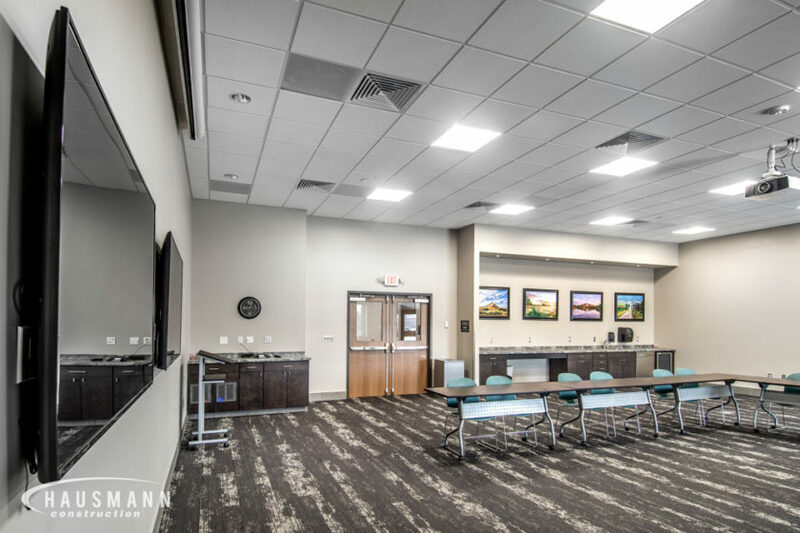 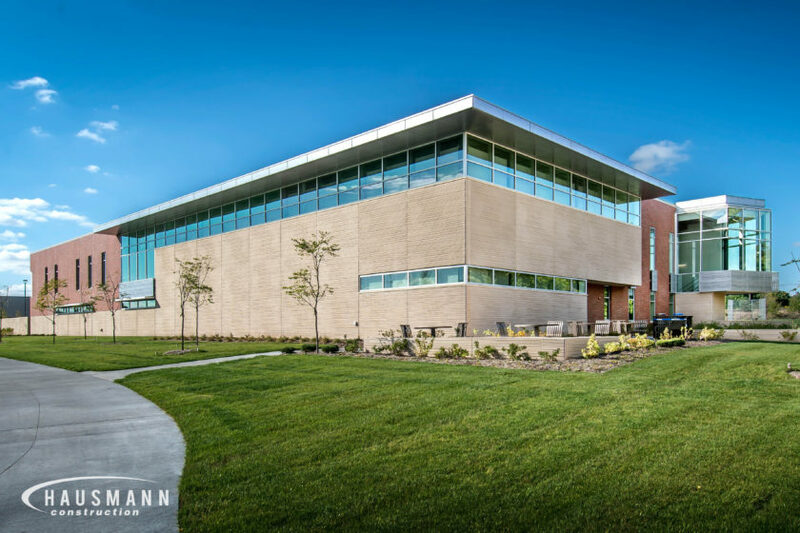 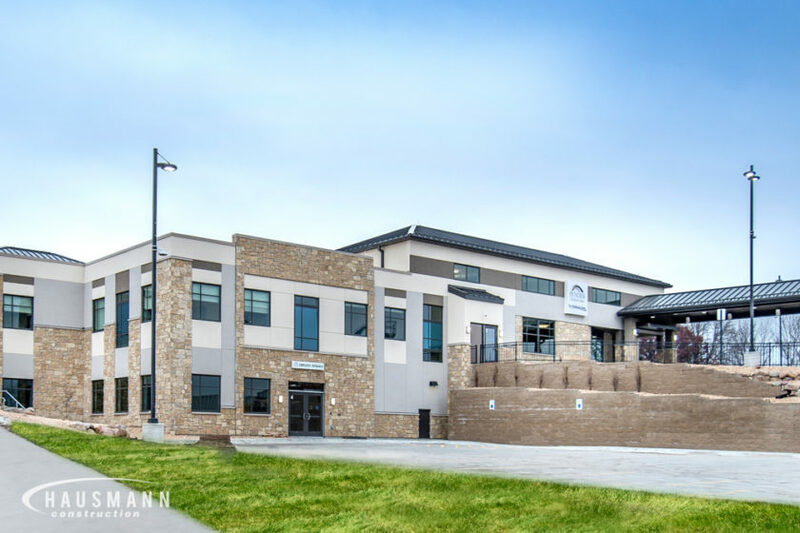 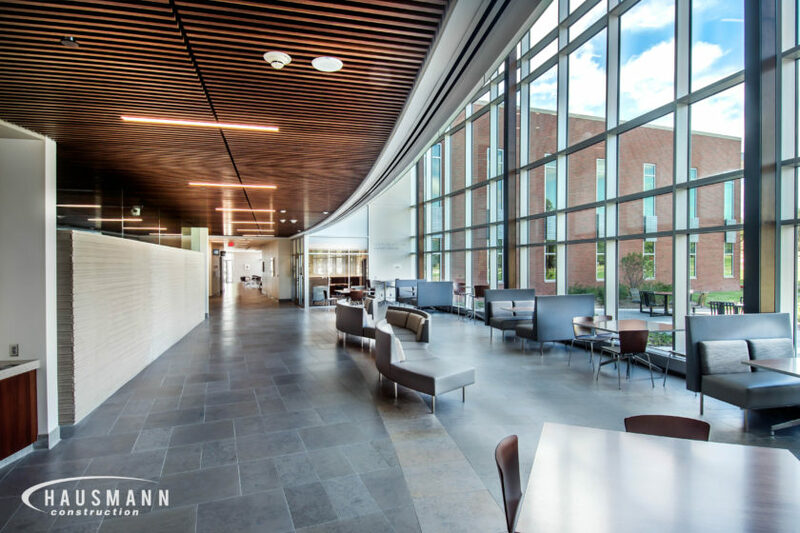 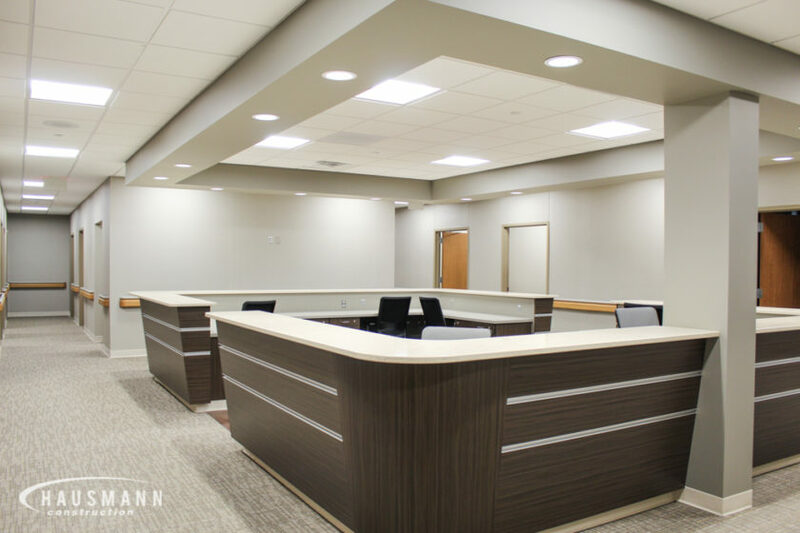 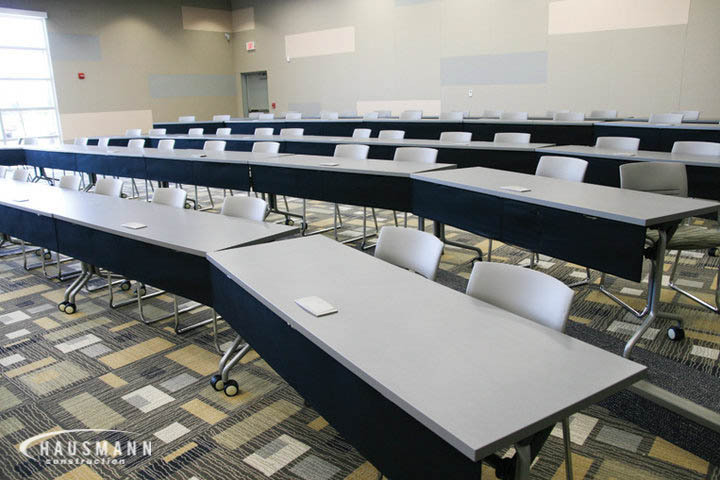 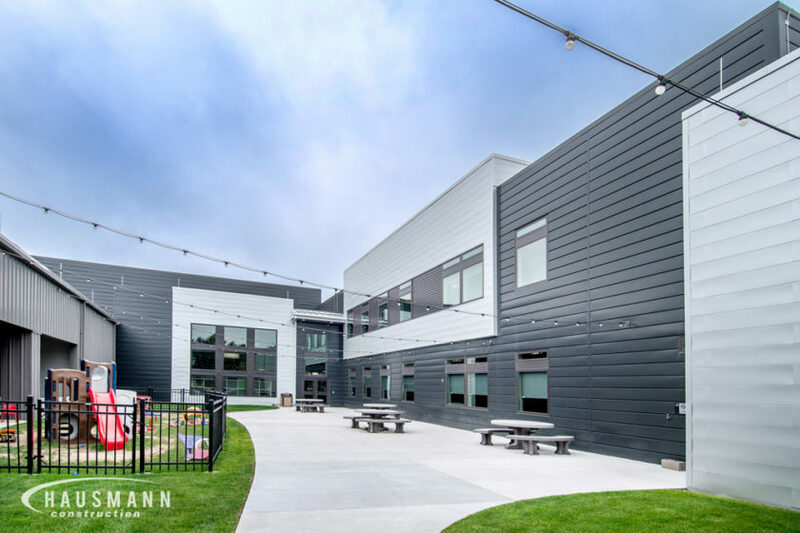 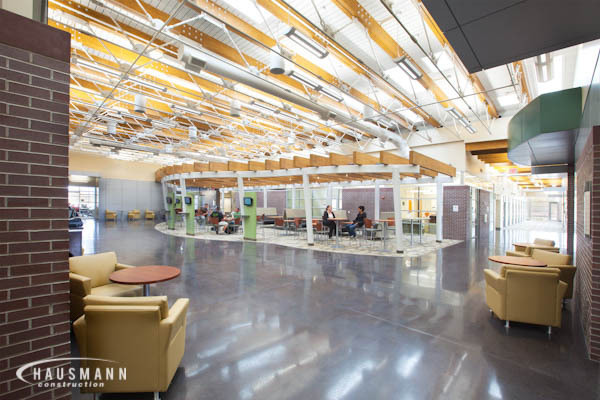 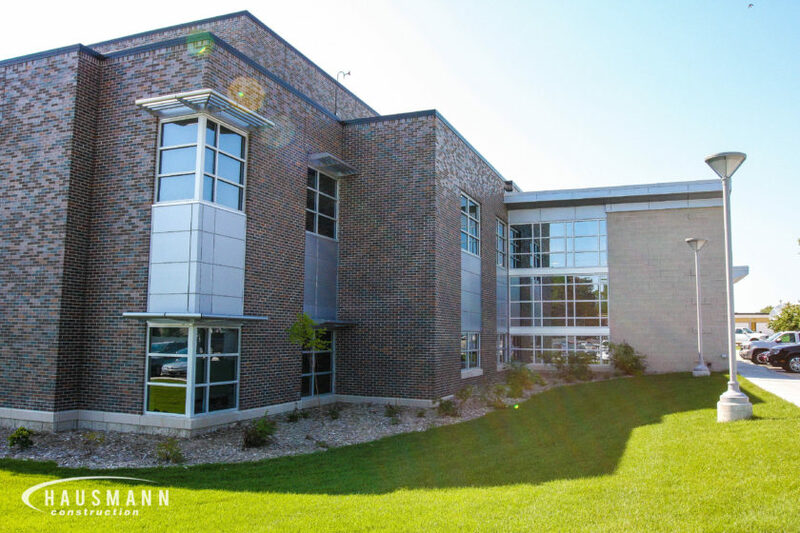 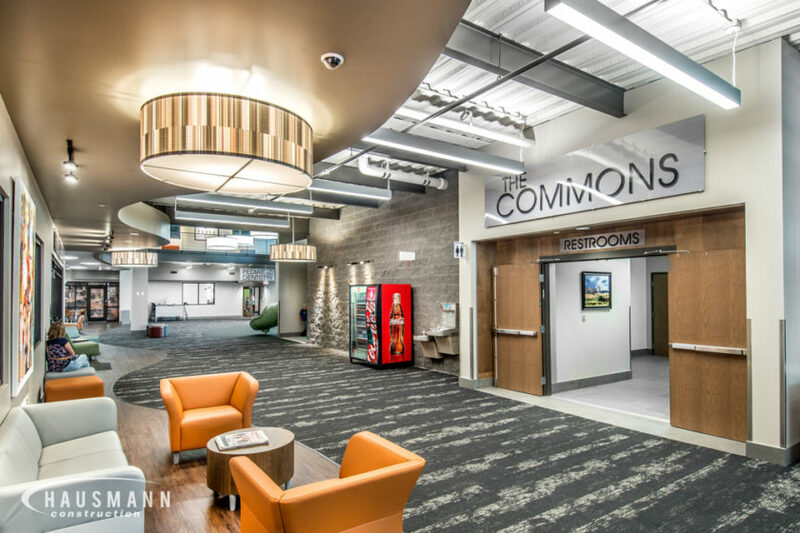 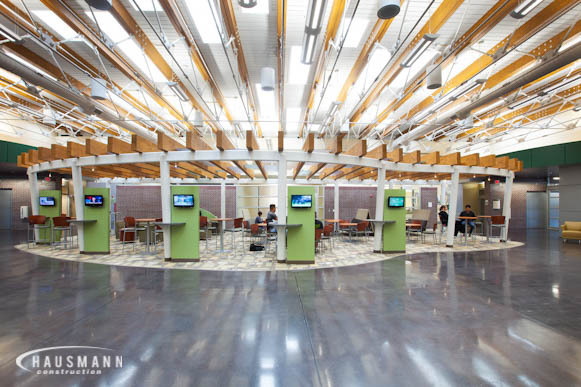 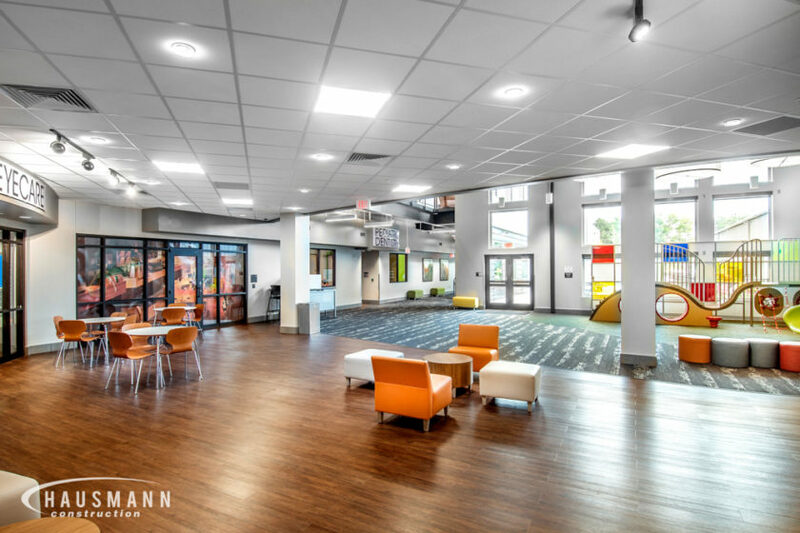 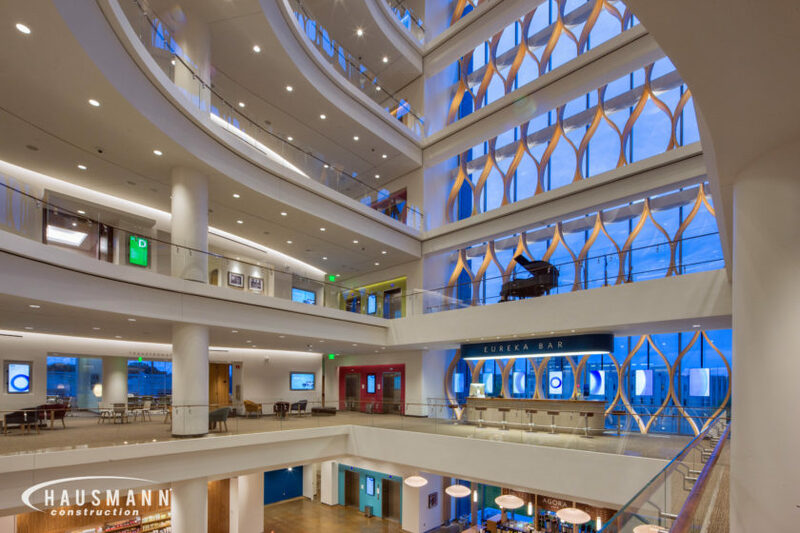 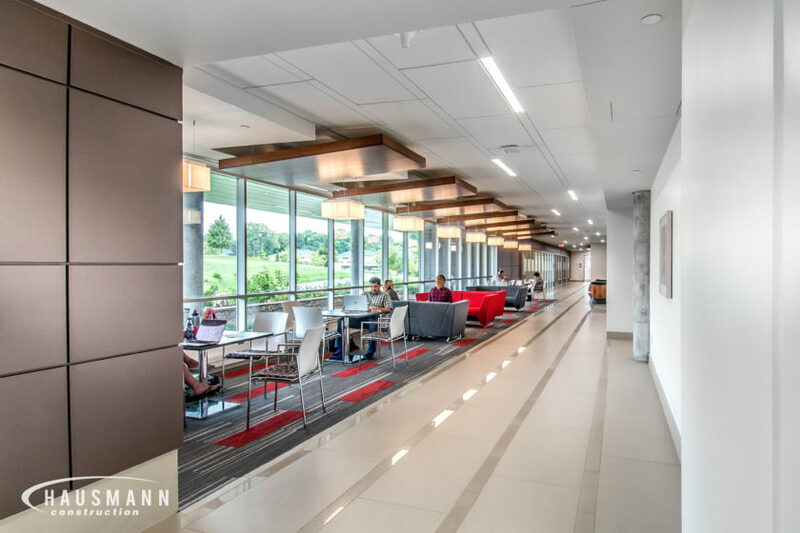 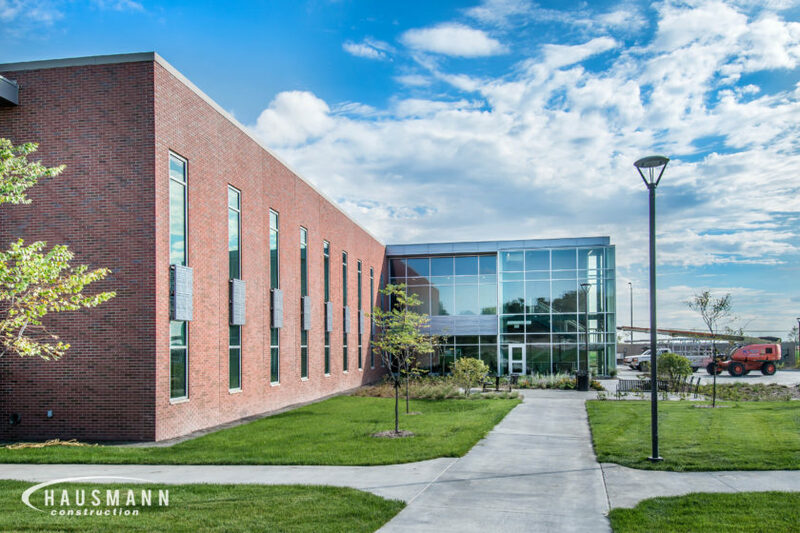 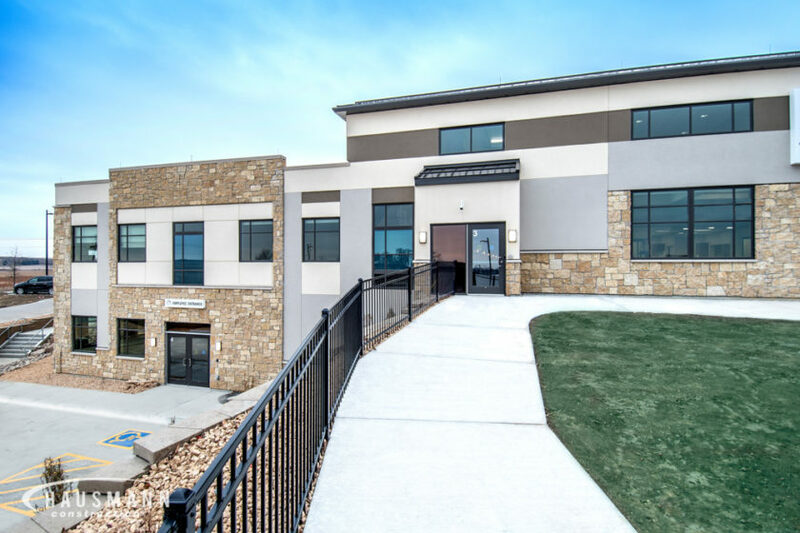 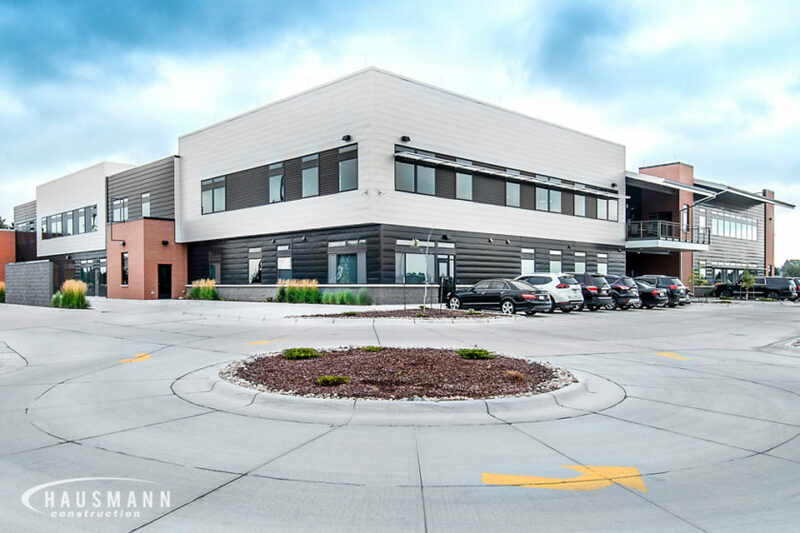 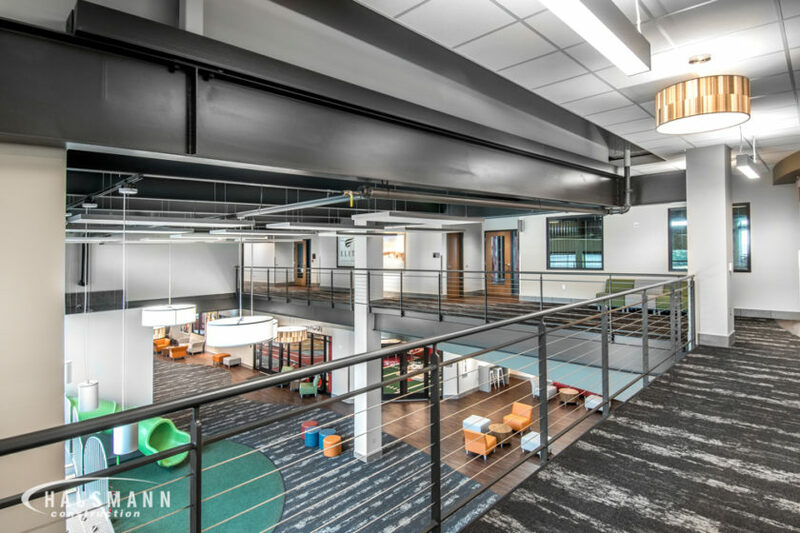 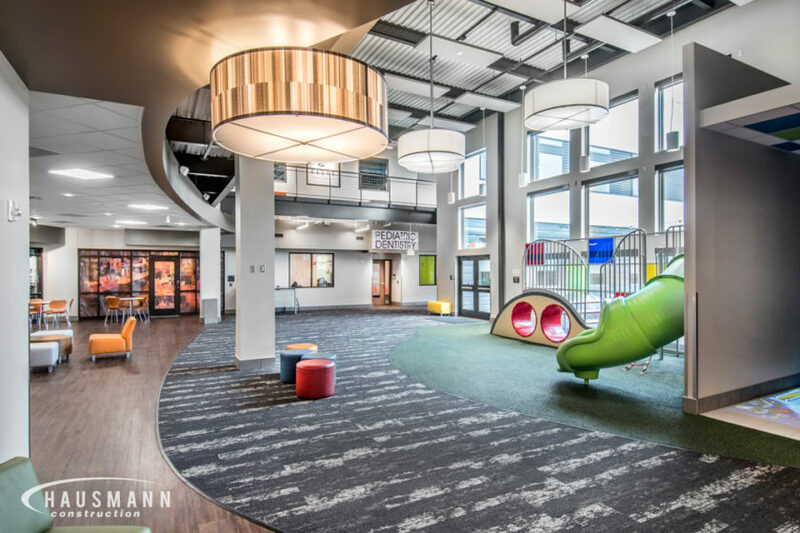 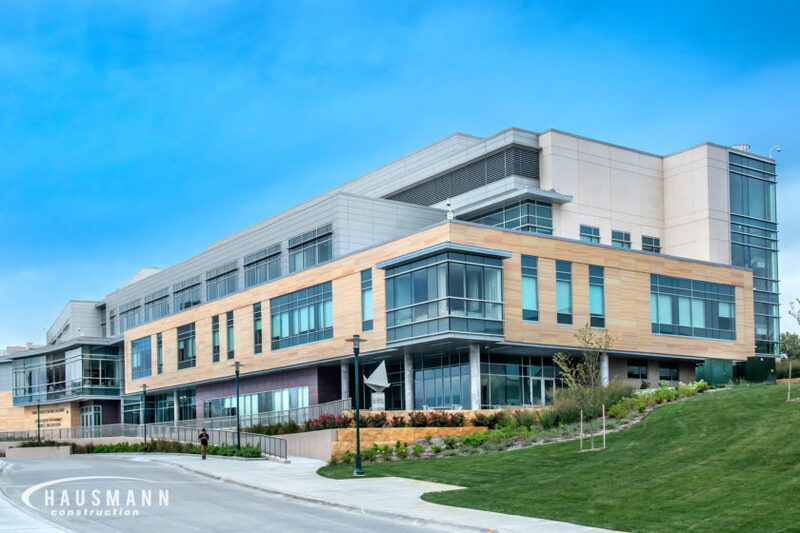 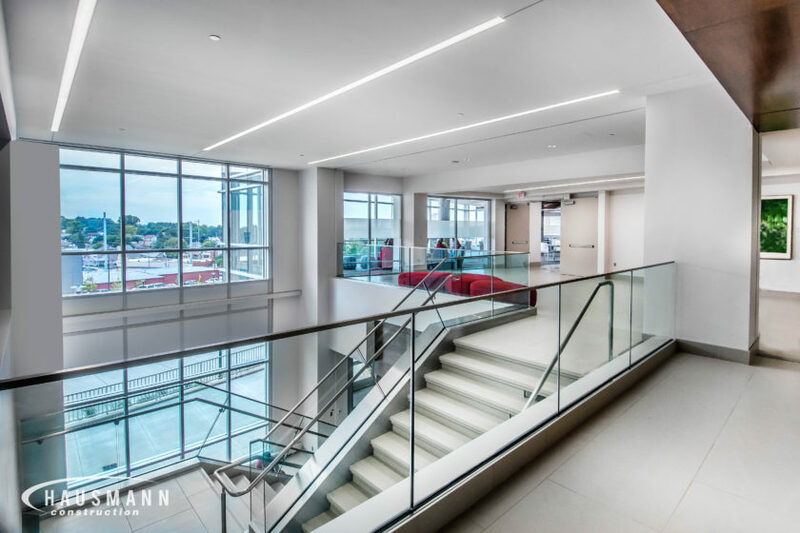 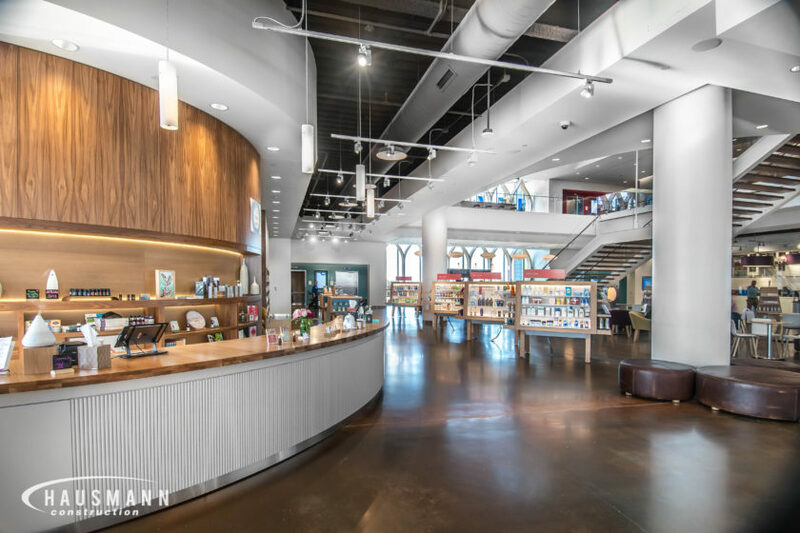 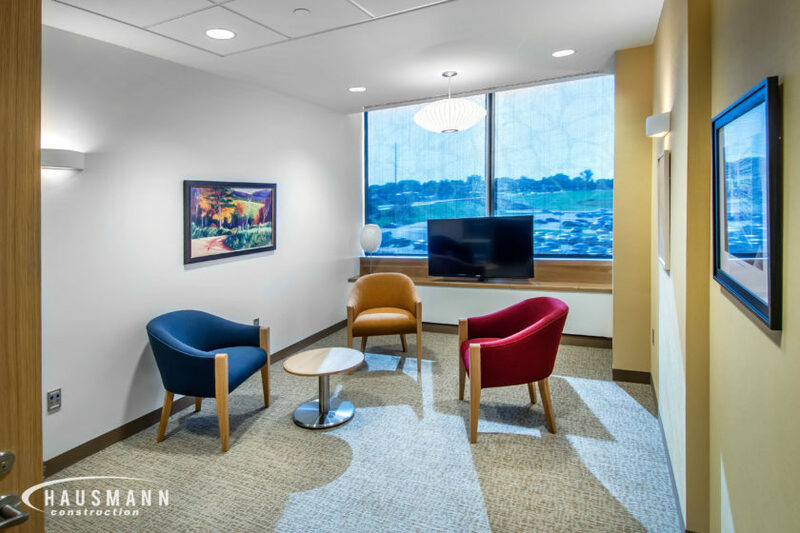 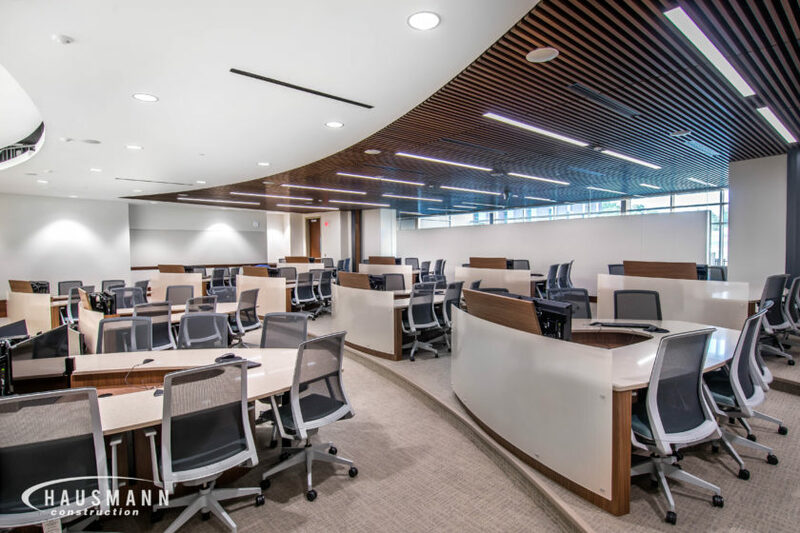 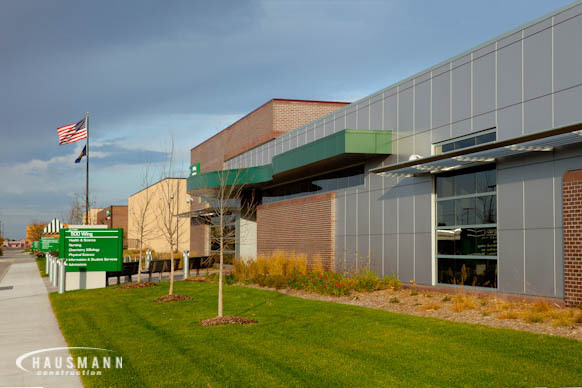 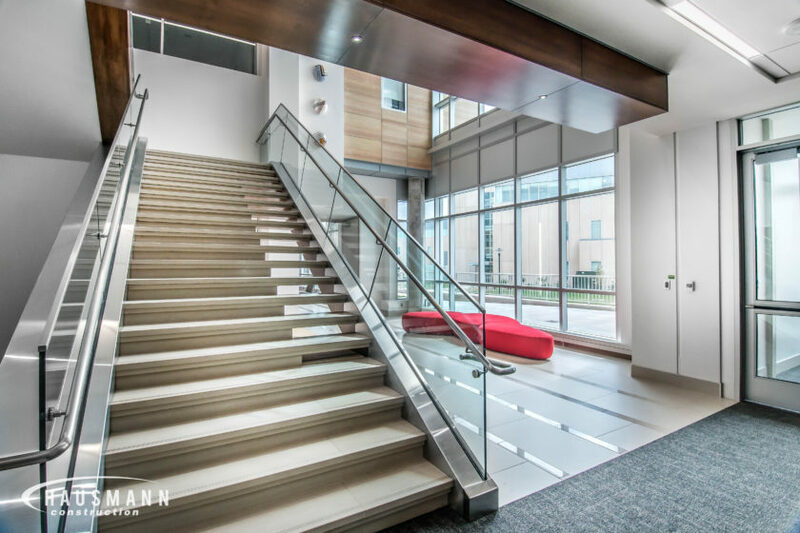 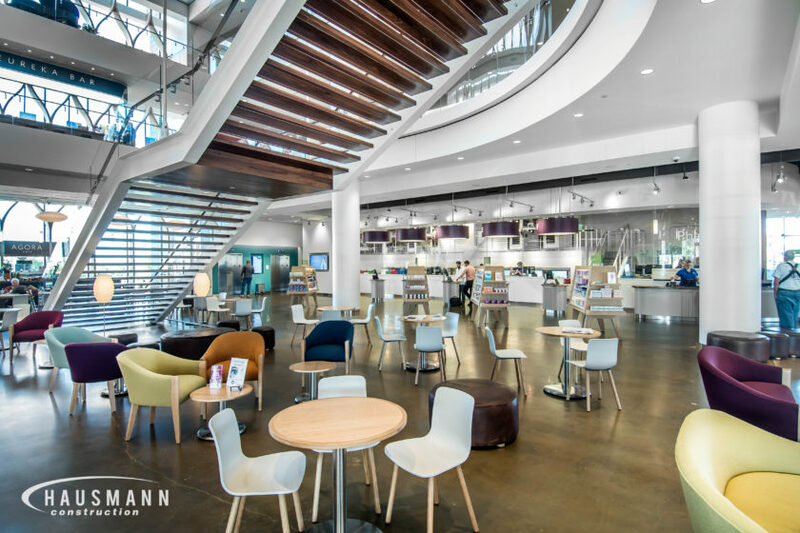 Hausmann was the General Contractor on this new, 43,747 square foot facility equipped with simulation labs, classrooms, office spaces and open study spaces. 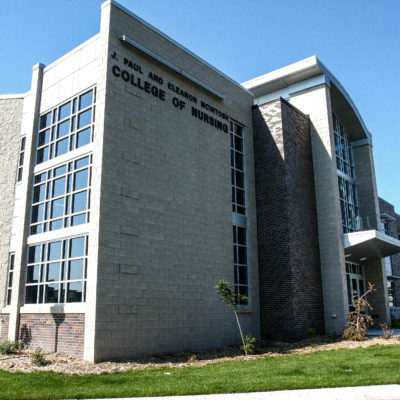 The campus houses programs both through the college and also the University of Nebraska Medical Center located in Norfolk, Nebraska.